I was doing some research on new VMware concept of virtual volumes. Duncan has written good briefing on his blog yellowBriks/ about virtual volumes so i thought of writing another one which can cover little bit more detail. In existing traditional environment we need a storage administrator to manage the Storage LUNs and storage tire related management. For each new configuration of storage LUN VMware admin has to approach storage guy to configure a LUN and do LUN mapping with respective storage protocol(iqn,wwn, or NFS share). Traditional LUN provisioning method has following issues. -> Long maintenance window for storage related modification. 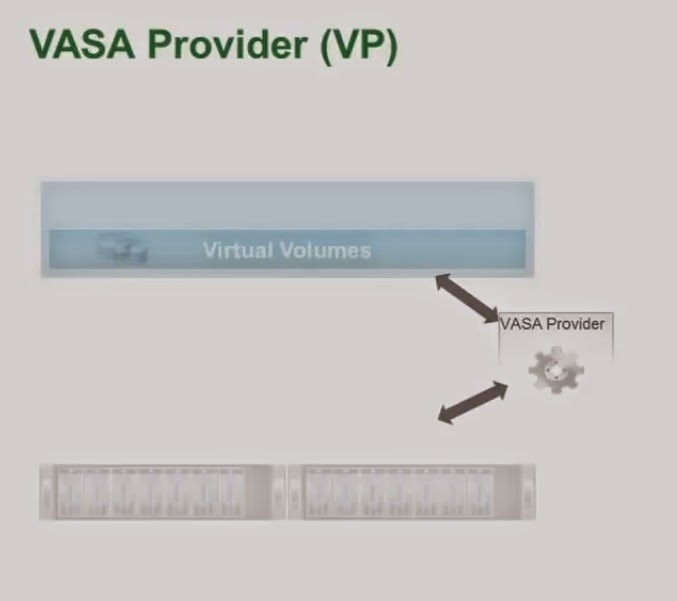 Above issues are resolved using VASA provider, Storage container and protocol endpoint. 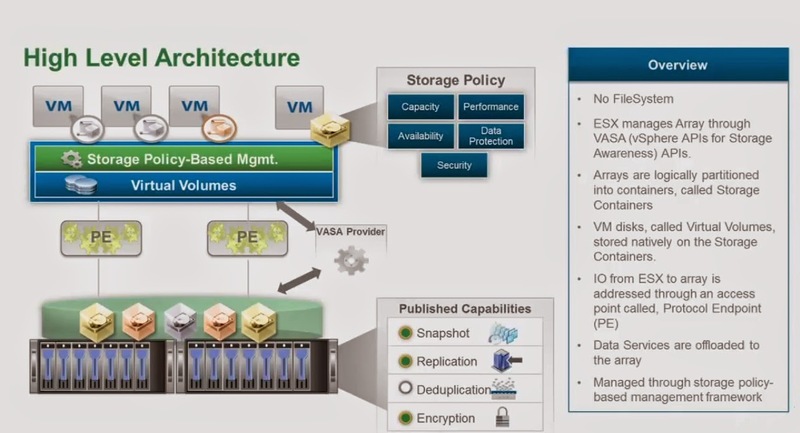 It is set of storage APIs that exposes to ESXi for management activity (eg. creating snapshot). these API will do mainly 3 things. 3) Responsible for creating virtual volumes so Storage admin is not required to create traditional LUN. It is data transfer protocol embedded to storage box which helps esxi to transfer data through data path.So now storage admin has to create protocol endpoints in storage and PE will communicate through all kind of storage protocol (eg. iSCSI/NFS). 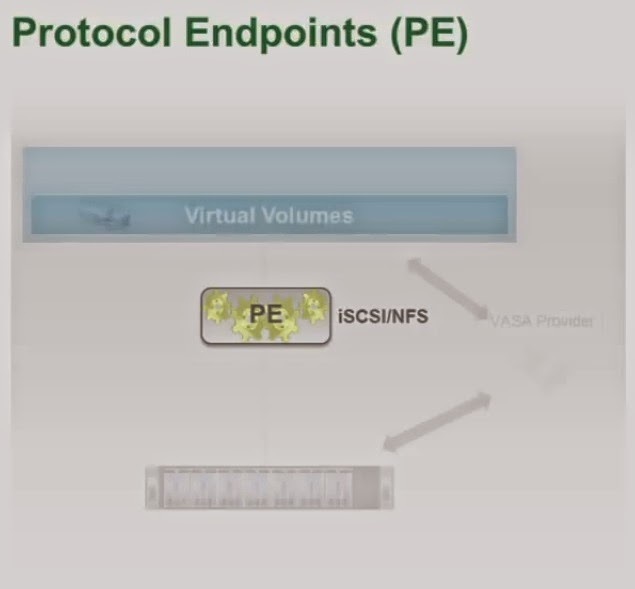 Zoning and multi-pathing policies and configuration will go to protocol endpoint (PE). 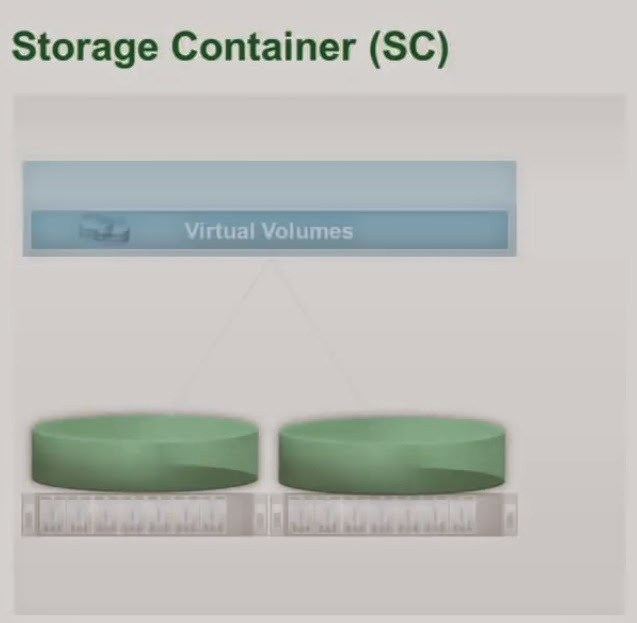 So Still we need to create datastore which is equals to storage container the reason of retaining datastore concept is because of support native vSphere features (FT, HA, etc.). Storage admin will see the storage container and and VMware admin will see it as datastore.Initially i thought storage container as new type of LUN but there is more of it. 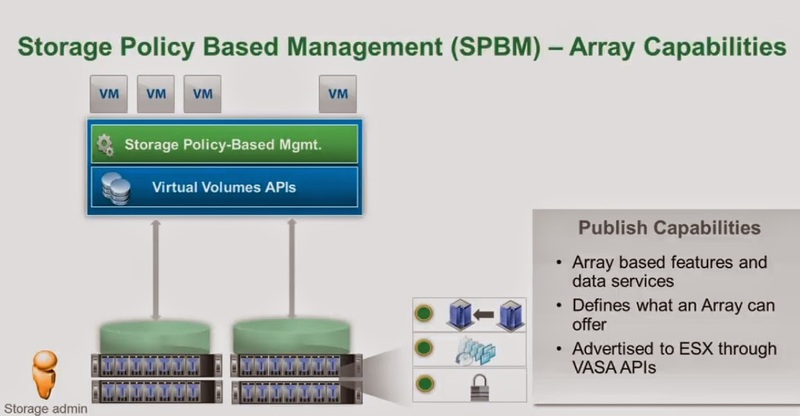 slowly storage will be managed through vsphere policies and we can define actually software defined storage concept. Overall it looks very exiting features but as Duncan told we have to look at its downsides before selecting it as solution.